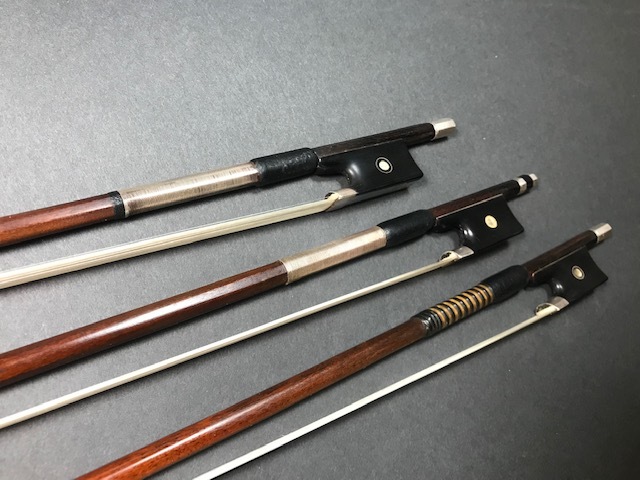 We have many fine violin, viola and cello bows for sale in our collection. We also carry Cadenza and Koda bows. At Matthias Lehner Violins we understand the importance of finding the right bow for your instrument. For this reason we take care to maintain a large collection of bows that vary in weight and style. When you purchase a bow with us, Matthias will work one-on-one with you and your instrument to maximize the clarity or depth you may be seeking. When you find your bow with us you will also receive a complimentary rehair. To inquire further about our collection or to schedule an appointment please call (212) 580-2158.